The Lincoln Memorial was built in 1922 to heal national divisions caused by the Civil War. Yet for many, Lincoln’s promise of freedom remained incomplete. Over the next half century, the looming figure of Abraham Lincoln witnessed a number of events and demonstrations that reinforced the memorial’s importance as a symbolic space for civil rights movements. 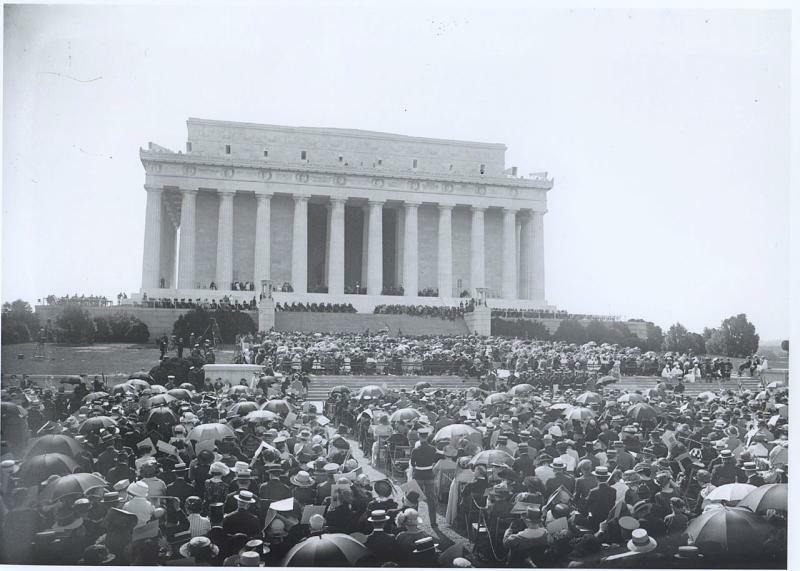 On May 30, 1922, a large crowd gathered for the dedication of the Lincoln Memorial. 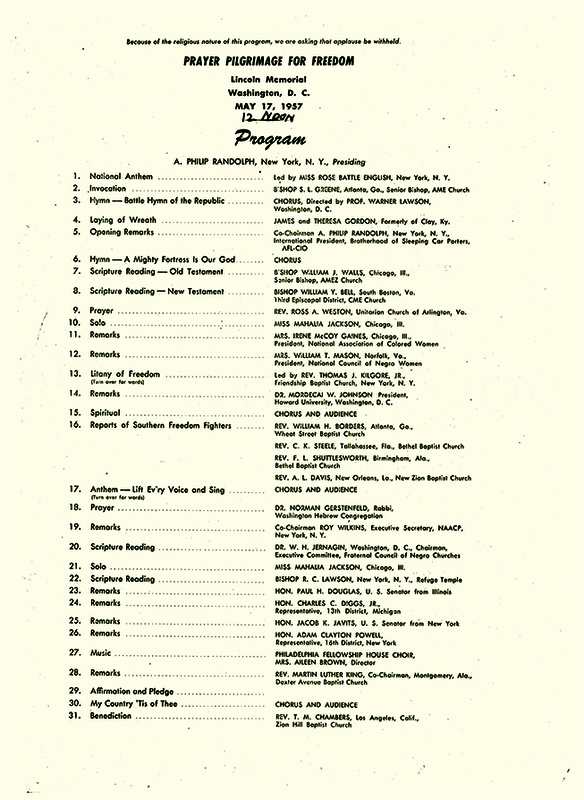 The seating, like much of Washington, was segregated by race, yet the organizers chose Dr. Robert Russo Moton, President of Tuskegee Institute, as the keynote speaker. Addressing the mostly white crowd, Moton delivered the first of what would be many civil rights speeches at the memorial. He challenged the audience to consider Lincoln’s call for a “new birth of freedom.” From that day forward, the Lincoln Memorial became a national gathering place for groups demanding racial and social justice. In a direct challenge to segregation, Marian Anderson performed at the Lincoln Memorial on Easter Sunday in 1939. The Daughters of the American Revolution had barred her from singing in Washington’s Constitution Hall. 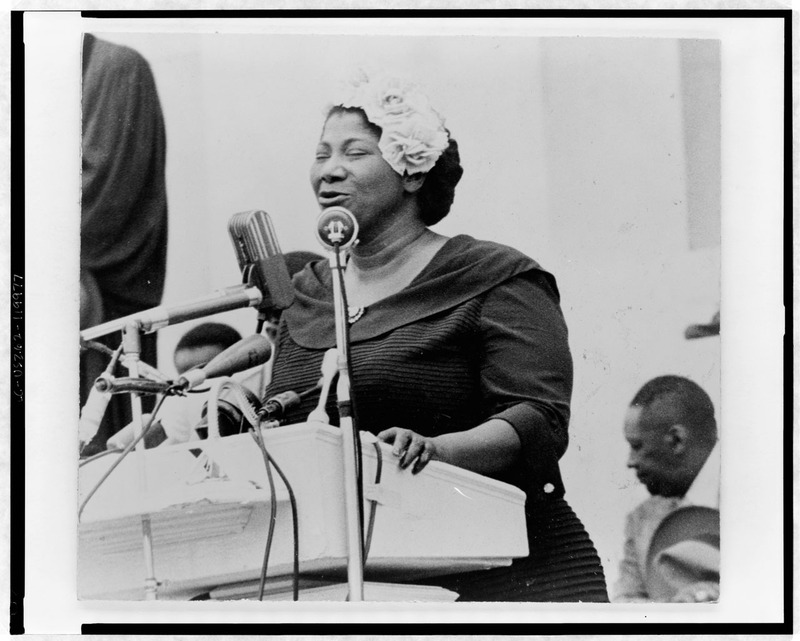 In response, a broad coalition of civil rights advocates, with support from Eleanor Roosevelt and Secretary of the Interior Harold L. Ickes, organized a concert on the steps of the memorial. More than 75,000 people attended the performance, and millions more listened to the live radio broadcast. 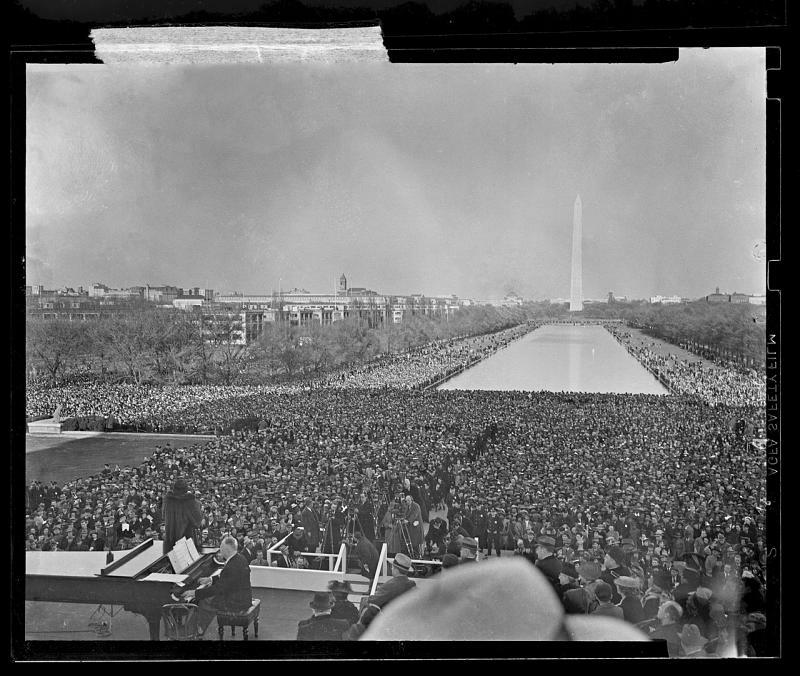 Anderson opened by pointedly singing “My Country Tis of Thee, Sweet Land of Liberty.” The concert lasted less than an hour, but it honored Anderson’s talents as a black artist and forever fixed the Lincoln Memorial as a symbolic shrine to civil rights. "Nobody expects ten thousand Negroes to get together and march anywhere for anything at any time....In common parlance, they are supposed ot be just scared and unorganizable. Is this true? I contend it is not." As the nation prepared for World War II, A. Philip Randolph, President of the Brotherhood of Sleeping Car Porters, called for a mass protest on July 1, 1941, to end discrimination in government defense industries. 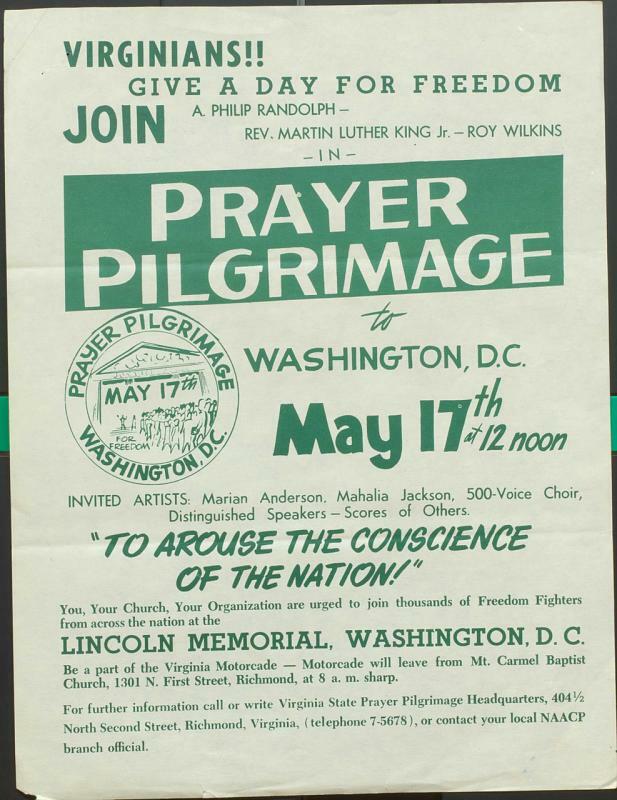 Randolph worked with local organizers to mobilize African American communities and estimated that as many as 100,000 participants had committed themselves to march down Pennsylvania Avenue to the Lincoln Memorial. Just six days before the demonstration, President Franklin Roosevelt issued Executive Order 8802, establishing the Fair Employment Practice Committee and prohibiting discrimination in defense industries. 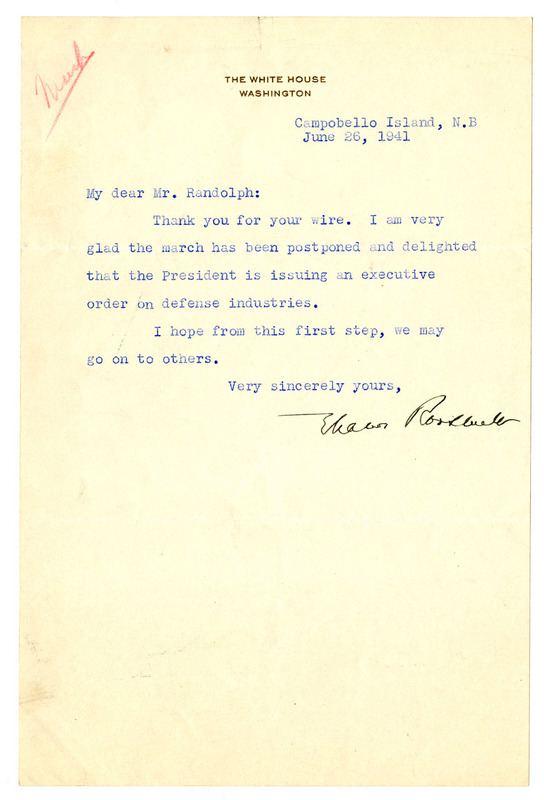 Randolph canceled the protest, and Roosevelt’s concessions established the precedent that the federal government had a responsibility to address racial discrimination among government contractors. 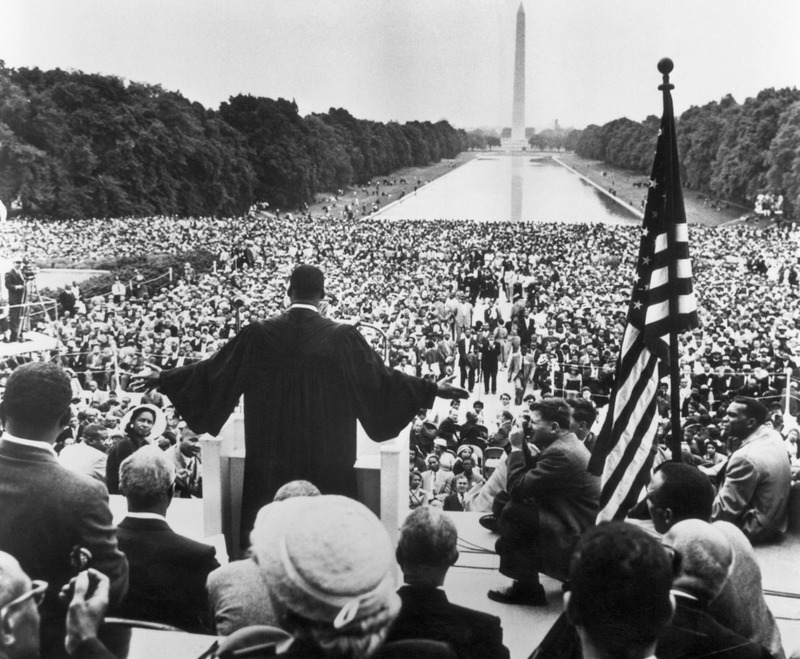 In 1957, civil rights leaders called for a demonstration at the Lincoln Memorial to coincide with the third anniversary of the Supreme Court decision in Brown v Board of Education. Organizers were determined to protest the lack of progress in desegregating schools, draw attention to the deteriorating economic conditions of blacks in the South, and push for new civil rights legislation. More than 25,000 people attended the rally on May 17, making it the largest civil rights demonstration in the nation’s capital. It also served as a training ground for the organizers of the 1963 march, including A. Philip Randolph, Bayard Rustin, Martin Luther King Jr., and Roy Wilkins. "To Arouse the Conscience of a Nation"